Cuyamaca College Graduate Evan Esparaza in honor line. LA MESA — ‘A national treasure right in our midst!’ That’s the incomparable Valerie Victor, organist/pianist at The Table: United Church of Christ of La Mesa (UCCLM). Born in National City (as were her mother and grandmother), Valerie was seven when she started to play the piano, eight when her elementary school music teacher asked that she not return to class – it was ‘too easy’ for her. aken on as the teacher’s private student for the next seven years, young Valerie thrived. Another teacher followed, working with her for the next 25-30 years. Once a month a “bonus” was added: organ lessons. 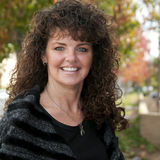 Valerie became the organist for Lemon Grove Congregational at the age of 14, then at East San Diego Presbyterian at 18. Then, in June 1967, she arrived at UCCLM and their journey together began. Her new organ, by the way, had been “purchased” with S&H Green Stamps. Area schools, theaters and choruses also benefited from her musical gifts, among the San Diego Junior Theater (Musical Director) and Starlight Opera (accompanist). Valerie worked for the Grossmont and Cajon Valley School Districts for 40-45 years, playing for high school choirs and glee clubs and Greenfield Elementary’s musical theater group. Mother of four, grandmother of six and great-grandmother of seven, Valerie describes her fifty years at UCCLM as “a blessing. I have loved every minute of it.” She looks forward to many more years there. The people of UCCLM return the compliment and will highlight and celebrate Valerie’s gifts at a special musical service at 10 a.m. on Sunday, June 25. Everyone is invite to join them. The church is located at 5940 Kelton Avenue, La Mesa, CA 91942. For more information, call 619.464.1519 or www.tableucc.com. LA MESA — The La Mesa Chamber of Commerce held their Ninth Annual Taste of La Mesa, Monday, June 12 at the La Mesa Community Center. included a vision disorder and, unknown to her at the time, Asperger’s, a syndrome on the autism spectrum. “I lived closer to other schools, but I chose Cuyamaca because of the care they showed me as I inquired about programs. Best decision ever.” She also thanked her science professors, who recognized her promise early on in spite of her own self-doubt. “I didn’t see it at the time, but my biology and chemistry professors, Kathryn Nette and Laurie LeBlanc, sure did, and they let me know that,” said Leak-Garcia, encouraging graduates to stay true to their dreams. “And sensing that I was having a hard time believing them, they told me again… and again. I love them both for that.” The student commencement speech was given by honors graduate Jovonda Reina, a former foster youth who earned her associate degree from Cuyamaca College’s psychology program and will be transferring to San Diego State University to earn a bachelor’s and a master’s in counseling. Accepted out of high school in the Naval Academy, Reina left after 18 months, finding herself still dealing with emotional issues from her youth. At Cuyamaca College, Reina said she found the support she needed. “Here at Cuyamaca, I felt at home and welcomed the moment I stepped on campus and that I was finally in the right place at the right time,” said Reina, who started at Cuyamaca in fall 2016, and aspires to becoming a mental health counselor for teens and to help eradicate the stigma of mental health issues in the black community. “I cannot thank this place enough for helping me realize my potential and molding me into a better student, a better thinker and a better person,” she said.
. Are there vaccinations for older people? Which ones should I get?
. To get the appropriate vaccinations for you, discuss the subject with your physician. • Influenza vaccine to protect against seasonal flu. • Tdap vaccine for tetanus, diphtheria, and pertussis. Tetanus, sometimes called lockjaw, affects the nervous system. Diphtheria is a respiratory disease. Pertussis is commonly known as whooping cough. • Pneumococcal vaccine for pneumococcal diseases that cause infections in the lungs, blood, brain and ear. Pneumococcal diseases can take various forms, including pneumonia and meningitis. • Zoster vaccine, which protects against shingles, a painful skin disease caused by the chickenpox virus awakening from a dormant state to attack your body again. There may be other vaccines to consider because your health, job, or lifestyle may put you at higher risk for certain diseases. For example, people with diabetes should get the Hepatitis B vaccine. If you are planning to travel out of the country, find out which vaccines are recommended or required. Visit the CDC Travel Health site to learn more. Go to: http:// wwwnc.cdc.gov/travel/ In childhood, we are given vaccinations that provide immunity against a broad range of diseases. Recent evidence indicates that the immunity conferred by childhood vaccinations may diminish as we age. So, it is now possible to receive a supplementary booster injection for these childhood diseases. Aging weakens our immune systems making us vulnerable to infections, which are more dangerous to older people. Vaccines can help boost the immune systems of older people. Immunizations teach your body how to defend itself when viruses or bacteria invade it. They expose you to small amounts of viruses or bacteria that have been weakened or killed. Your immune system then learns to recognize and attack the infection if you are exposed to it later in life. As a result, you will either not become ill or have a milder infection. Our immune system is a complicated network of cells, tissues, and organs. It is composed of two major parts: the innate immune system and the adaptive immune system. Both change as people get older. The innate system is the first line of defense. It includes the skin, the cough reflex, mucous membranes, and stomach acid. A second line of defense includes specialized cells that alert the body of the impending danger. Inflammation is an important part of our innate immune system. The adaptive immune system is more complex than the innate immune system and includes the thymus, spleen, tonsils, bone marrow, circulatory system, and lymphatic system. These different parts of the body work together to produce, store, and transport specific types of cells and substances to combat health threats. reetings precious people, this week we continue our series entitled “The Promises of God”. As mentioned in part one of this series, there are but a few promises to all of mankind, the vast majority are to those who have become His children by adoption through faith in Jesus Christ and repentance from sin. Some may think this is not “fair”, that all of God’s promises should be to everyone. Well they are to everyone that will repent of sin and turn to Jesus Christ for the forgiveness of sin. Think of this way, you are a parent, your children have your protection; love; provision; sacrifice; and will inherit what you have at your departure. Should others who are not your children or even those who hate you and your children be beneficiaries of what you have for your own children? Of course not, that would be absurd! Now let us look at some promises of God concerning Him being the One who helps His children. Hebrews 4:1416 “Seeing then that we have a great High Priest who has passed through the heavens, Jesus the Son of God, let us hold fast our confession. For we do not have a High Priest who cannot sympathize with our weaknesses, but was in all points tempted as we are, yet without sin. Let us therefore come boldly to the throne of grace, that we may obtain mercy and find grace to help in time of need.” Psalm 60:11 “Give us help from trouble, for the help of man is useless.” Psalm 60:12 “Through God we will do valiantly, for it is He who shall tread down our enemies.” Psalm 63:7 “Because You have been my help, therefore in the shadow of Your wings I will rejoice.” Psalm 70:5 “But I am poor and needy; Make haste to me, O God! You are my help and my deliverer; O Lord, do not delay.” Psalm 115:11 “You who fear the Lord, trust in the Lord; He is their help and their shield.” Psalm 121:2 “My help comes from the Lord, Who made heaven and earth.” Isaiah 41:10 “Fear not, for I am with you; be not dismayed, for I am your God. I will strengthen you, yes, I will help you, I will uphold you with My righteous right hand.’” Isaiah 41:13 “For I, the Lord your God, will hold your right hand, saying to you, “Fear not, I will help you.’” These are just a few of many verses in God’s Word the Bible that speak of God’s promise to help His children in their time of trouble. Please understand that He does not promise that we will never get into trouble; experience pain, heartache; go through trials and tribulations, quite the contrary. He promises that all those who do follow Him will suffer these; most of them will be at the hands of unjust people who hate God, truth, and righteousness. But as the follower of Jesus Christ goes through them, God has promised to be with us at all times for He has said, “I will never leave thee nor forsake thee, I will be with thee even to the end of the age.” And His presence in our trouble and suffering gives great help and strength. The Apostle Paul expresses this truth in his letter to Timothy, 2Tim 4:16-18 “At my first answer no man stood with me, but all men forsook me: I pray God that it may not be laid to their charge. Notwithstanding the Lord stood with me, and strengthened me; that by me the preaching might be fully known, and that all the Gentiles might hear: and I was delivered out of the mouth of the lion. And the Lord shall deliver me from every evil work, and will preserve me unto his heavenly kingdom: to whom be glory forever and ever. Amen.” Finally, one of my favorite verses that extol the faithfulness of God to be my help is Psalm 46:1-3 “God is our refuge and strength, a very present help in trouble. Therefore will not we fear, though the earth be removed, and though the mountains be carried into the midst of the sea; though the waters thereof roar and be troubled, though the mountains shake with the swelling thereof. Selah.” Selah means to literally stop and think about what was just said. It would do you good to do just this. Eat Your Hear t Out! VIEJAS JUNE DREAM MACHINE GIVE-A-WAY Win a 2017 Dodge Challenger EIGHT WINNERS will drive home in a 2017 Dodge Challenger, valued at over $32,000! Drawings at 9 pm every Wednesday and Saturday in June! Ten lucky players will be chosen for each drawing! Nine runners-up will receive $1,000 cash! And one lucky player will win a 2017 Dodge Challenger, valued at over $32,000! Almost $330,000 in Total Prizes! Plus, join us for our Stay, Play & Win Drawings at 10 p.m. & 10:30 p.m. Win your share of $20,000 in Cash! Swipe daily for entries, and earn more with play! Swipe Daily June 1–28. PLUS, double your entries on slots! * *Video poker slots excluded from the entry multiplier. LA MESA OFFERS ‘SUNDAYS AT SIX’ FREE SUMMER CONCERTS Come out and enjoy the line-up of local bands at La Mesa’s ‘Sundays at Six’ free summer concert series. Bring the family, grab a picnic and have fun listening to great tunes at the beautiful outdoor amphitheater at Harry Griffen Park, 9550 Milden Street, from 6:00pm – 7:00pm. Sno-Cal Shaved Ice will also be available. June 18: Ginger Cowgirl – Country June 25: Fanny and the Atta Boys – Bluegrass, Jazz and Blues July 9: Dim the Lights – Disco July 16: Fringe Benefitz – Classic Rock July 23: Sonic Epidemic – Horn Tunes of the 70’s The Sundays at Six Concert Series is sponsored by Sharp Grossmont Hospital, Grossmont Center, the La Mesa Park and Recreation Foundation and the City of La Mesa. For more information email: recreation@ci.la-mesa.ca.us, call 619-667-1300 or visit lamesaparks.org. Viewing page digitally: A stylized microscopy image of an astrocyte (red) and neuron (green). Blue circles indicate cell nuclei. to begin addressing questions about brain development and disease that we couldn’t even ask before,” says Gage. The team also co-cultured astrocytes derived from pluripotent stem cells with neurons, an important step in exploring the relationship of different braincell types to normal function and disease. “The exciting thing about using iPSCs is that if we get tissue samples from people with diseases like Multiple Sclerosis, Alzheimer’s or depression, we will be able to study how their astrocytes behave, and how they interact with neurons,” says Krishna Vadodaria, a Salk research associate and one of the paper’s lead authors. This will be the next step in the lab’s research. he Mountain West Board of Directors approved the recommendation by the league’s men’s basketball head coaches to name the conference’s top coaching honor after former San Diego State head coach Steve Fisher, who retired in April. The recipient of the award beginning in 2017-18 will be the Steve Fisher Coach of the Year. Fisher, who guided the Aztecs to a 386-209 record in 18 seasons, led SDSU to a Mountain West-record 10 conference titles, eight NCAA tournaments and 13 postseason appearances. Along the way, Fisher picked up his second career national coach-of-the-year award (Naismith, NABC, Adolph Rupp) in 2011 when San Diego State reached the NCAA Sweet 16, finished with a school-record 34 victories and was ranked as high as No. 4 nationally. The all-time winningest coach in San Diego State and MW history reached the Sweet 16 once more, this time in 2014, when the Aztecs finished with a 31-5 record. That year’s effort, which saw SDSU reach No. 5 in the national rankings, was one of 12 seasons of at least 20 wins. Then in 2015, Fisher was the recipient of the John R. Wooden Legends of Coaching Award. The league’s decision to name a postseason award after a former San Diego State head coach is not unprecedented. In September of 2014, the Mountain West named its baseball player-of-the-year award after Tony Gwynn, who was the baseball head coach from 2002-14 and lettered in the sport in 1979, 1980 and 1981. Gwynn also earned varsity letters in basketball four times (1978-81) and is the school’s all-time assist leader (590). This past season, SDSU baseball shortstop Danny Sheehan was the 2017 Tony Gwynn Co-Player of the Year, marking the first time an Aztec has won the award. Meanwhile, Chris Murphy from the University of San Diego was named to the Collegiate Baseball Freshmen AllAmerican team. Murphy posted a 3-4 record with a 4.17 ERA with 89 strikeouts. Murphy, who has already been named to the WCC AllFreshman team, appeared in 17 games for the Toreros (12 starts). He struck out 89 batters across 69 innings, good for a rate of 11.61 punchouts per nine innings, the fifth best rate in a single season in program history and the second best ever for a freshman. After 30 years in television advertising sales, La Mesa resident Rick Winet is now selling health insurance. Winet’s last day as account manager at KNSD-TV/NBC 7 was Friday, June 9. He started June 12 as general manager of sales at McGregor Associates, a San Diego broker for the Voluntary Employment Beneficiary Association (VEBA) health plans offered to school districts, municipalities and public agencies. The San Diego East County Chamber of Commerce will host its upcoming First Friday Breakfast starting at 7:15 a.m. on Friday, July 7, at the Sycuan Resort, 3007 Dehesa Road, El Cajon. Table top sponsors include Enriched Learning and Development LLC and Toward Maximum Independence, Inc. Cost to attend the Chamber breakfast is $25 per person for members, $30 per person for prospective members with RSVP and $35 per person for walk-ups without RSVP. For more information and to RSVP, contact the Chamber at info@eastcountychamber.org, (619) 440-6161, or visit www. eastcountychamber.org. San Diego is ranked #9 among the top 25 U.S. cities in technology, according to a recent Cushman & Wakefield national study. San Jose (Silicon Valley) and San Francisco placed first and second respectively based on the concentration of factors such as real estate and housing costs, educated workforce, capital availability and job growth prospects, the key ingredients for a healthy tech stew. “The lower cost of real estate and housing, as well as our educated and tech-savvy Millennial workforce, make San Diego an affordable alternative compared to other major tech cities and a prime location for tech companies to expand or relocate,” said Jolanta Campion, Cushman & Wakefield, director of research, San Diego. “With near-perfect year-round weather and an abundance of outdoor activities, San Diego is an attractive place to live, work, and play.” The top five cities included (#1) San Jose, (#2) San Francisco, (#3) Washington, D.C., (#4) Boston-Cambridge and (#5) Raleigh-Durham-Chapel Hill, North Carolina. “San Diego’s technology sector is gaining a strong foothold as evidenced by more than 400 startups created annually since 2013,” said Brett Ward, executive director, Cushman & Wakefield, San Diego. Cushman & Wakefield said San Diego’s innovation cluster consists of nine technology sectors and accounts for $52 billion in annual regional impact, or 24 percent of the San Diego economy and 30 percent of local private-sector jobs. The largest local tech segment, information and communication technologies, accounts for 3,720 companies and more than 68,000 employees, the company said. A. Call to Order B.	Invocation / Pledge of Allegiance C.	Roll Call of Members D.	Approval of Minutes / Correspondence / Announcements 1. Approval of Minutes i	May 25, 2017 2. ACPG Statement: The Alpine Community Planning Group was formed for the purpose of advising and assisting the Director of Planning, the Zoning Administrator, the Planning Commission and the Board of Supervisors in the preparation, amendment and implementation of community and sub-regional plans. The Alpine Community Planning Group is an advisory body only. E.	Open Discussion: Opportunity for members of the public to speak to the ACPG on any subject matter within the ACPG’s jurisdiction that is not on the posted agenda. F.	Prioritization of this Meeting’s Agenda Items G.	Organized / Special Presentations 1. Staff from Padre Dam Municipal Water District will provide the ACPG an update on “The Value of Water”. Presentation & Discussion only. 2. The owner of a property located at the terminus of Country Meadows Road at West Victoria Drive (APN 403-160-15) has applied for Discretionary Permit for a Replacement Tentative Map #5341 (PDS20053100-5431). The property is an 80.72-acre parcel and the existing tentative map is for 20-lot single-family residential subdivision with one-acre minimum lot sizes, private roads, and on site septic sewage disposal. The county has requested that the ACPG to make a recommendation on the permit. Presentation, Discussion, & Action. 3. The ACPG circulation subcommittee would like to present a “25 Seconds” proposal within the community to encourage drivers to slow down. The concept is designed around the message that “Your child or your neighbor’s child and the safety of the community’s children are worth 25 seconds” to inform drivers that slowing down from an average of 40 mph to 35 mph for two miles through town takes an additional 25 seconds and the safety of our community is worth the 25 seconds. Presentation, Discussion, & Action. 4. The ACPG circulation subcommittee will provide an update on options for improvements to the culvert pedestrian crossings on Tavern Road at Alpine Creek Lane based on meetings with County of San Diego Department of Public Works. Presentation, Discussion, & Action. H.	Group Business: 1. Group to consider censure for group member(s) in violation of ACPG Code of Ethics. Discussion & Action. 2. Group to review ACPG standing rules and consider updates. Discussion & Action. 3. Subcommittee Chairs to submit list of subcommittee members for Group approval. Discussion & Action. I. Consent Calendar J. Subcommittee Reports (including Alpine Design Review Board) K.	Officer Reports L.	Open Discussion 2 (if necessary) M.	Request for Agenda Items for Upcoming Agendas N.	Approval of Expenses / Expenditures O. Announcement of Meetings: 1. Alpine Community Planning Group – June 27th & July 27th, 2017 2. ACPG Subcommittees – TBD 3. Planning Commission – July 14th, 2017 4. Board of Supervisors – July 18th & 19th, 2017 P.	Adjournment of Meeting Disclaimer Language: Public Disclosure – We strive to protect personally identifiable information by collecting only information necessary to deliver our services. All information that may be collected becomes public record that may be subject to inspection and copying by the public, unless an exemption in law exists. In the event of a conflict between this Privacy Notice and any County ordinance or other law governing the County’s disclosure of records, the County ordinance or other applicable law will control. Access and Correction of Personal Information – You can review any personal information collected about you. You may recommend changes to your personal information you believe is in error by submitting a written request that credibly shows the error. If you believe that your personal information is being used for a purpose other than what was intended when submitted, you may contact us. In all cases, we will take reasonable steps to verify your identity before granting access or making corrections. FICTITIOUS BUSINESS NAME STATEMENT ASSIGNED FILE NO. 2017-014854 (A) CULTIVATE (B) CULTIVATE SD located at 4171 MT. BIGELOW WAY, SAN DIEGO, CA, COUNTY OF SAN DIEGO, 92111. Mailing address: SAME. This business is conducted by: A GENERAL PARTNERSHIP. The registrant commenced the transaction of business on: 08/09/2016. This business is hereby registered by the following: (A) STEPHANIE RABELO of 4171 MT. BIGELOW WAY, SAN DIEGO, CA, CA 92111. (B) ALLEN DJURKOVIC of 3367 C. STREET, SAN DIEGO, CA 92102. Signed by: STEPHANIE RABELO. This statement was filed with ERNEST J. DRONENBURG, JR, the Recorder/County Clerk of San Diego County on JUNE 5, 2017. SAN DIEGO COUNTY HERALD, PUBLISH: JUNE 8, 15, 22 AND 29, 2017. FICTITIOUS BUSINESS NAME STATEMENT ASSIGNED FILE NO. 2017-014470 (A) SLICK SUITS located at 522 GARFIELD, OCEANSIDE, CA, COUNTY OF SAN DIEGO, 92054. Mailing address: SAME. This business is conducted by: AN INDIVIDUAL. The registrant commenced the transaction of business on: 05/31/2017. This business is hereby registered by the following: (A) RICARDO MERAZ of 522 GARFIELD, OCEANSIDE, CA 92054. Signed by: RICARDO MIRAZ. This statement was filed with ERNEST J. DRONENBURG, JR, the Recorder/ County Clerk of San Diego County on MAY 31, 2017. SAN DIEGO COUNTY HERALD, PUBLISH: JUNE 15, 22, 29 AND JULY 6, 2017. FICTITIOUS BUSINESS NAME STATEMENT ASSIGNED FILE NO. 2017-013813 (A) BARGAIN BAY located at 15895 AVENIDA VENUSTO, 1018, SAN DIEGO, CA, COUNTY OF SAN DIEGO, 92128. Mailing address: SAME. This business is conducted by: AN INDIVIDUAL. The registrant commenced the transaction of business on: N/A. This business is hereby registered by the following: (A) ANDREW CHOI of 15895 AVENIDA VENUSTO, 1018, SAN DIEGO, CA 92128. Signed by: ANDREW CHOI. This statement was filed with ERNEST J. DRONENBURG, JR, the Recorder/ County Clerk of San Diego County on MAY 24, 2017. SAN DIEGO COUNTY HERALD, PUBLISH: JUNE 15, 22, 29 AND JULY 6, 2017. NOTICE TO CREDITORS FICTITIOUS BUSINESS NAME OF DIANE AUBRY STATEMENT ASSIGNED FILE [PROBATE CODE 19052] NO. 2017-012503 (A) A & S CASE NO. 37-2017-00019375-PRARCO located at 9108 CAMPO NC-CTL ROAD, SPRING VALLEY, CA, IN THE MATTER OF THE REVOCOUNTY OF SAN DIEGO, 91977. CABLE TRUST CREATED BY Mailing address: SAME. This busiPlace your Classified or Announcement Ad with the East County Herald News for only $5.00 for DIANE AUBRY, DECEDENT. ness is conducted by: A LIMITED three lines per week. (Approx. 35 characters per line) - $2.00 per line after the first three. Add $5 for NOTICE IS HEREBY GIVEN to LIABILITY COMPANY. The registhe creditors and contingent crediphoto. (Note: photos will not be returned.) Lost and Found Ads are Free. trant commenced the transaction tors of the above-named decedent, Edited by Linda and Charles Preston of business on: MONITORCROSSWORD 01/01/2017. This DIANE AUBRY, that all persons business is hereby registered by the particles 50 Romantic, e.g. ACROSS COme WhAt mAy By Joe Healy having claims against the dece10 Come what may 51 Halted 1 Reporter’s query following: (A) A & S ARCO of 9108 11 Italics do it 52 Ref. text 4 ___ Friday dent are required to file them with CAMPO ROAD, SPRING VALLEY, 12 Gaelic 54 Miss one’s exit, perhaps 7 Chance it the SUPERIOR COURT at 1100 CA 91977. State of Incorporation: 15 Come what may 56 Closing word 13 Kind of chamber UNION STREET, SAN DIEGO, CA CALIFORNIA Signed by: SARTHAK 18 Journalist Joseph 57 Ad ___ per aspera 14 Sixgun 92101, and mail or deliver a copy JAIN / MANAGING MEMBER. This 22 Brow topper 59 Cologne crowd? 16 He never says never to ANNETTE LERDAHL, as trustee statement was filed with ERNEST J. 25 Bergen’s Mortimer 61 Ocean menace 17 Texans remember it of the trust dated 06/17/14, wherein DRONENBURG, JR, the Recorder/ 28 Author Godden 64 Hula whooper? 19 Former Turkish bigwigs the decedent was the settlor, at 29 Santa, for horses 66 Home for 53 Down 20 Painful wail County Clerk of San Diego County on 30 Night music? 68 Super Bowl team 21 Scroogean reactions P.O. BOX 5675, SANTA ROSA, MAY 8, 2017. SAN DIEGO COUNTY 32 Geniuses, e.g. 69 Demographer’s need 23 “April Love” singer CA 95402, within the later of four HERALD, PUBLISH: JUNE 8, 15, 22 34 Fred’s dancin’ sis 70 “___ Man Flint” 24 Dunderhead months after personally delivered AND 29, 2017. 35 Not live 71 Not a yogi’s goal 26 Impatient demand to you, 60 days after the date this 38 Fireplace frame 72 Over there 27 Spanish year FICTITIOUS BUSINESS NAME notice is mailed or personally delivout this form and73send it perhaps with your check/money order to: 42 Moved a trireme C or D, 28Fill Some fabrics STATEMENT ASSIGNED FILE ered to you, or you must petition to 47 Conductor’s tool 31 Virgo chaser The San Diego County Herald, LLC NO. 2017-015014 (A) ADF ENTER49 Infer DOWN 33 Three-man card game file a late claim as provided in Sec53 Hamlet, father and son 1 2568, Accompanied by 36 Sealed PRISES located at 1787 TURNtion 19103 of the Probate Code. A P.O. Box Alpine, CA 91903 55 Type of race 2 Belly laugh 37 Consarn it! BERRY DR., SAN MARCOS, CA, claim form may be obtained from Deadline is Monday 12 p.m. for that Thursday’s 57 Knocks for paper. a loop 3 at Come what may 39 Harem unit COUNTY OF SAN DIEGO, 92069. the court clerk. For your protection, 58 Pepper companion 4 Hodges, of the old 40 Russian village Mailing address: SAME. This busiyou are encouraged to file your claim 60 No one ___ blame Dodgers 41 Barnyard fellow ness is conducted by: A CORPORAby certified mail, with return receipt 62 Motley ___ 5 Fine equine 43 Small theater comTION. The registrant commenced requested. 63 Ethereal 6 Miller’s salesman pany? 65 Nannies need three 7 Elephant’s party, for 44 Frat letter the transaction of business on: DEBORAH G. CORLETT, ESQ. 67 Dundee John short 45 Cheerless 04/04/2017. This business is hereby O’BRIEN WATTERS$ DAVIS, LLP, 8 Rhyme scheme 46 Hoi polloi registered by the following: (A) ATTORNEYS FOR ANNETTE LERThe Christian Science Monitor 9 Strongly interacting 48 Writer Ayn ADF ENTERPRISES, INC of 1787 DAHL, Successor Trustee, 3510 TURNBERRY DR., SAN MARCOS, UNOCAL PLACE, Suite 200, CA 92069. State of Incorporation: P.O. BOX 3759, SANTA ROSA, CALIFORNIA Signed by: DANICALIFORNIA, 95402-3759. ELLE JOHNSTON-FINE / CEO. This THIS STATEMENT WAS FILED statement was filed with ERNEST J. WITH THE CLERK OF THE SUPEDRONENBURG, JR, the Recorder/ RIOR COURT ON JUNE, 07, 2017. County Clerk of San Diego County on SAN DIEGO COUNTY HERALD – JUNE 7, 2017. SAN DIEGO COUNTY GIC778099 PUBLISH: JUNE 15, 22 COme WhAt mAy HERALD, PUBLISH: JUNE 15, 22, AND 29, 2017. 29 AND JULY 6, 2017. Enjoy the June 15-21 digital version of The Herald! Get Your Community Fix! Happy Father's Day!